Oh, to be one of the lucky few with a giant sunroom in your home, an always-warm space designed to make the most of the sun’s rays. But the rest of us need not despair as temperatures plummet and the snow flies. 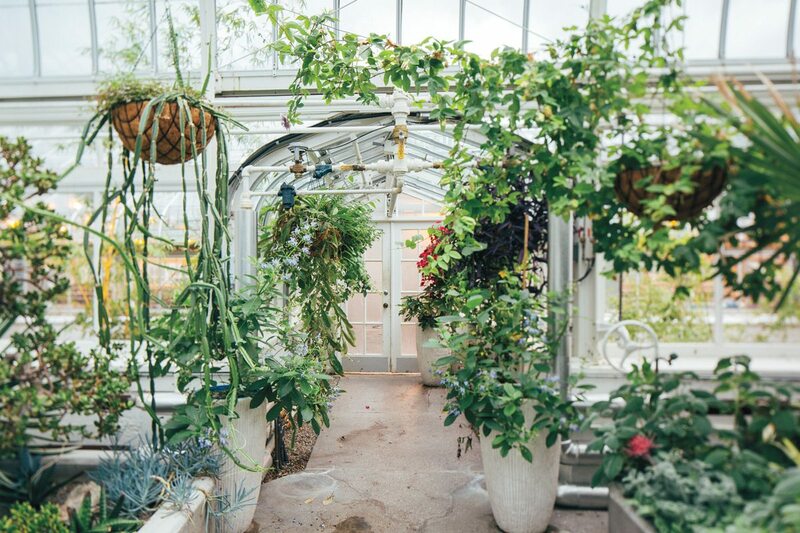 This greenhouse makes the perfect cold-weather retreat for warmth-starved Ottawans — beautiful, calming and, most important of all, open to the public. The sunniest days are invariably the coldest, but you’d never know it in this sun-drenched atria. Dreaming of palm trees in paradise? 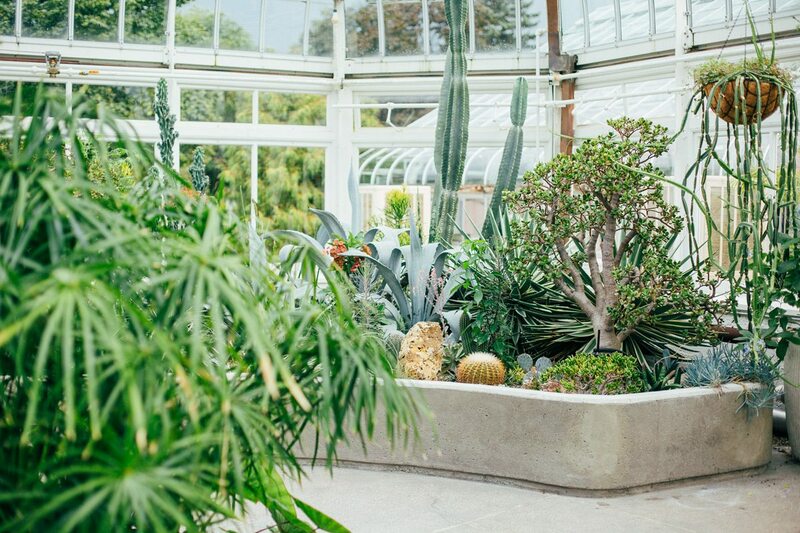 Believe it or not, that tropical getaway is just around the corner — in a restored greenhouse in the heart of the Experimental Farm. 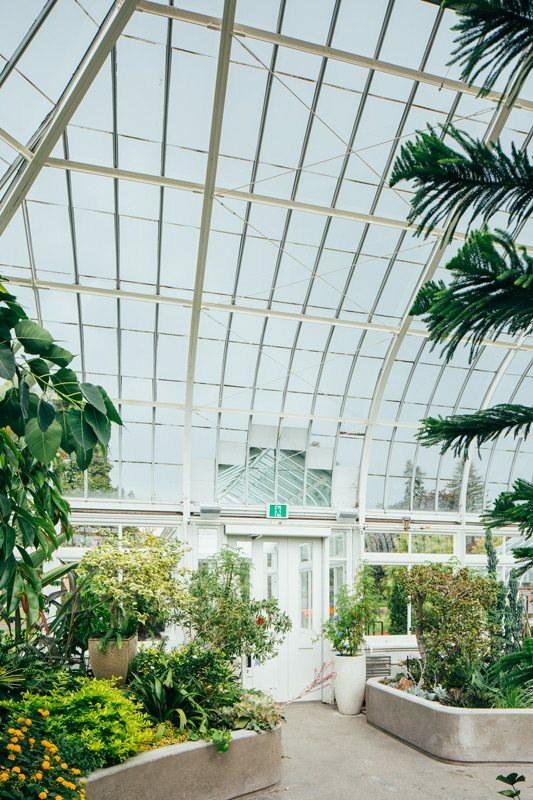 Originally part of a larger greenhouse complex at Major’s Hill Park, the century-old conservatory was moved to its current location on Maple Drive in 1938, its graceful canopy and entrance an elegant gateway to the exotic flora within. This showcase of all things tropical, designed by famed American greenhouse manufacturer Lord & Burnham, is a curvilinear delight — a compact 40-by-40-foot building that evokes a long-ago era when ladies in flowing dresses might fold up their parasols before strolling into the “garden lantern” to marvel at the colourful plants within. Over the years, the flourishing flora took a toll on the greenhouse, pressing up against glass and metal weakened by years of Ottawa weather. 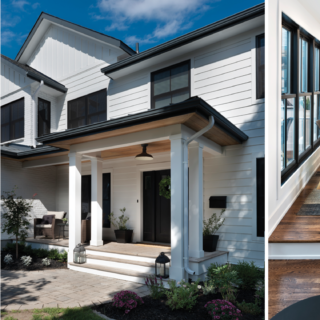 In 2010, the conservatory closed for five years as Watson MacEwen Teramura Architects undertook an award-winning restoration that returned it to its former glory. David Carnegie, a facilities officer with Agriculture and Agri-Food Canada, remembers that greenhouse regulars would stop by periodically to watch the transformation, ask when it would be completed, and let the conservators know how much they missed the place. 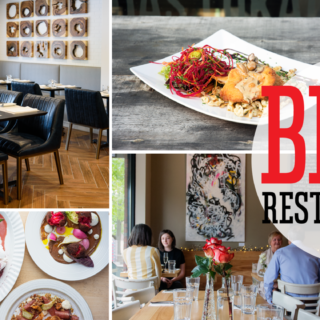 It’s no surprise, as the place is tranquil, temperate, light-filled, and cozy. There’s just a thin sheet of glass between you and the sub-zero temperatures and snowy landscape outside, and yet, if you use your imagination, it’s possible to suspend reality. Can’t you almost hear the calls of the tropical birds and smell the warm, salty breeze? Take your lunch and a book — stay awhile. Open year-round, Monday to Friday 9 a.m. to 4 p.m. and Sunday 10 a.m. to 4 p.m.